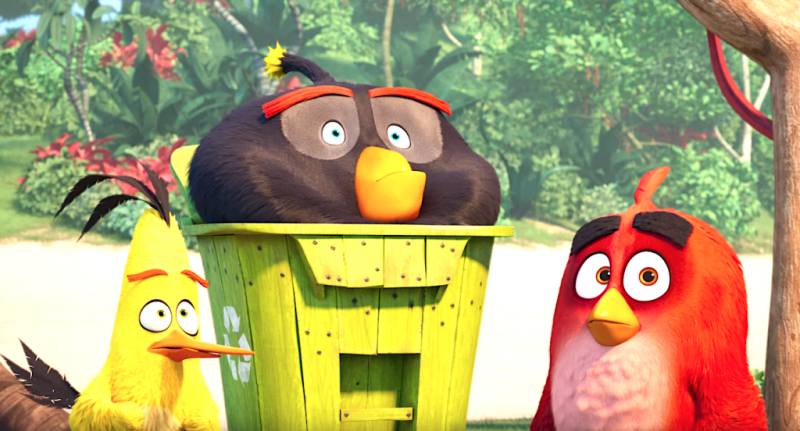 While they might have been mortal enemies in The Angry Birds Movie, but now the birds and the pigs are putting aside their differences and teaming up to face an all-new threat to their existence in The Angry Birds Movie 2 trailer. You can check it out in the player below! The returning voice cast includes Jason Sudeikis (We’re the Millers) as the temperamental Red, Josh Gad (Beauty and the Beast) as speedy Chuck, Bill Hader (Barry) as Leonard, king of the pigs, Danny McBride (Vice Principals) as the volatile Bomb, and Peter Dinklage (Game of Thrones) as the legendary Mighty Eagle. Joining the cast for the sequel is a host of hilarious actors and comedy stars, including Emmy-nominee Leslie Jones (SNL) as the film’s villain, Golden Globe winner Rachel Bloom (Crazy Ex-Girlfriend), Golden Globe and Emmy winner Sterling K. Brown (This is Us), Mexico’s comedy superstar Eugenio Derbez (Overboard), Zach Woods (Silicon Valley), Awkwafina (Crazy Rich Asians), Lil Rel Howery (Get Out), Dove Cameron (Agents of SHIELD), Beck Bennett (SNL, Brigsby Bear) and Brooklynn Prince (The Florida Project). The Angry Birds Movie opened at #1 in 50 countries around the globe in May 2016, becoming the second-highest-grossing video game adaptation of all time after earning $352 million at the box office. The Angry Birds games have been downloaded over 4 billion times. The Angry Birds Movie 2 is directed by Thurop Van Orman (Adventure Time) and co-directed by John Rice (King of the Hill, Rick and Morty). John Cohen (Despicable Me) produces, alongside Mary Ellen Bauder Andrews. Sean Charmatz (Trolls) is the head of story, Peter Ackerman (FX’s The Americans, Ice Age) is writing the screenplay, Pete Oswald is the production designer, and Linda Lamontagne is the casting director. David Maisel and Catherine Winder are executive producers. The talented team at Sony Pictures Imageworks handles the animation.